A beautiful, flawless set of the Four Seasons plaques. 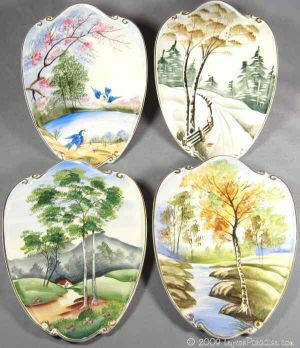 It is very hard to find a complete set of the Four Seasons, especially in such fine condition.Each plaque is 8¼ inches tall. They are marked 4927 and have the Lefton logo and Lefton sticker.